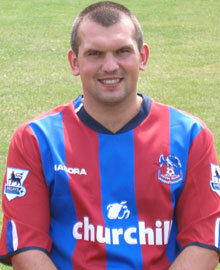 Neil Shipperley has joined Sheffield United after being released by Crystal Palace. The striker scored the goal that won Palace promotion to the Premiership in last year's play-off final against West Ham. But injury and competition for places meant he was only able to make three sub appearances last season. He recently met with boss Iain Dowie to discuss his Eagles future and was told he was not in Dowie’s plans. The 30-year-old had several offers to join other clubs but opted for Sheffield United, where he has signed a two-year deal. United manager Neil Warnock is delighted to land the much-travelled frontman. "Whilst this might not be a big money signing I'm absolutely delighted because we have needed someone like Neil since 'The Chief' (Wayne Allison) left,'' he told the club's official website. "He's a player who can come on and change a game with his strength and experience, and we lacked that in some vital games last season.